The Toucans make great press wherever they go! Check below for some of the press clippings and band mentions from local appearances. The best print promo for the Toucans can be found on our famous yellow Info Flyer. If you're looking for a couple of short paragraphs that best describe our band, just click on the yellow flyer for a closer view. The official Toucans promo shot can be downloaded in a large format, suitable for printing. 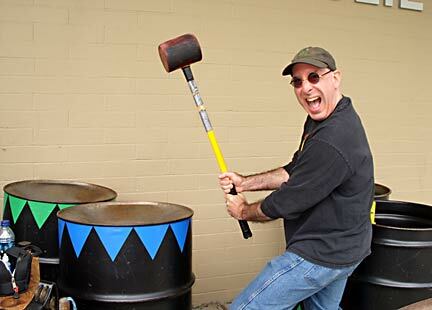 "The Toucans Steel Drum Band has been delighting audiences around our Tropical Northwest for many years, and we are happy to have them here today. Their high-energy rhythms are sure to lift your spirits and get your body moving! So, put your hands together for... The Mighty Toucans!" Dear Toucans... you guys are dynamite! Thanks for your lasting support of Potluck. You're a smashing band. 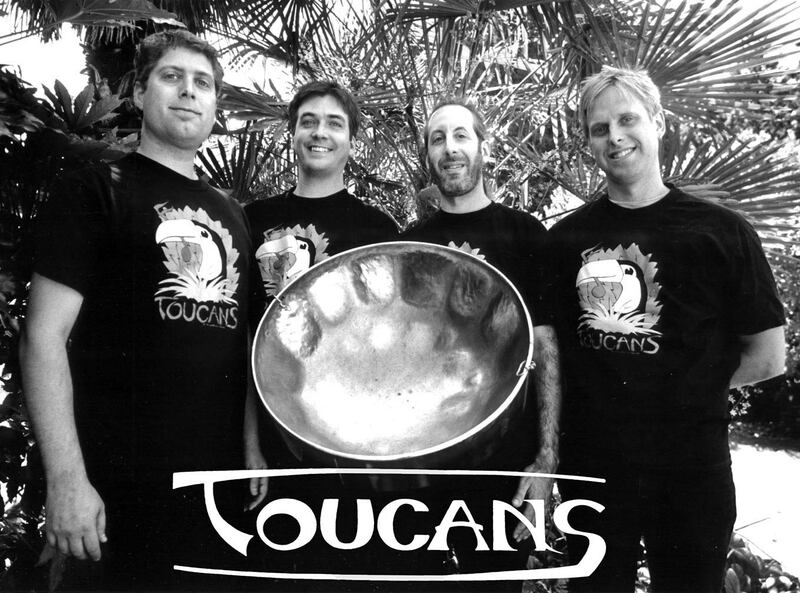 Their music reaches deep and audiences respond with wonder and delight to the Toucans' delightful, uplifting jingle-jangle steel drum music. I have watched them inspire dancers from the ages of 2 to 86 move from toe-tapping to stand-up dancing. Once again, the Toucans proved to be the perfect opener for our Thursday Lunchbreak concert series, and drew the largest crowd ever to our downtown park. The audience was made up of pre-schoolers through senior citizens, and everyone had a great time! Your performances are always very professional but light-hearted and fun which very quickly wins over every audience that I have had the pleasure to see. Your tasteful blend of percussion rhythms with the steel drums sets your group apart from other steel bands that I have observed over the years. Dear Toucan Band: That was the best music I ever heard! I have it stuck in my head it's so good. I love your music! I am going to make a steel drum of my own.